A yearly selection on the ground allows to the best choice of grapes’ composition. VINIFICATION: Separated harvest for the three varieties, due to slight differences in maturation’s periods. Soft de-stemming and vinification in little cases with daily foulage and delestage. Variable maturation timing (from 10 to 20 days) due to the variety and to the year. Malo-lactic fermentation, followed by maturation and refining (18 months) take place in French barriques. Bottling follows the extraction from the barriques in few months, and then bottles lie in the vinery until the end of the organoleptic panel. 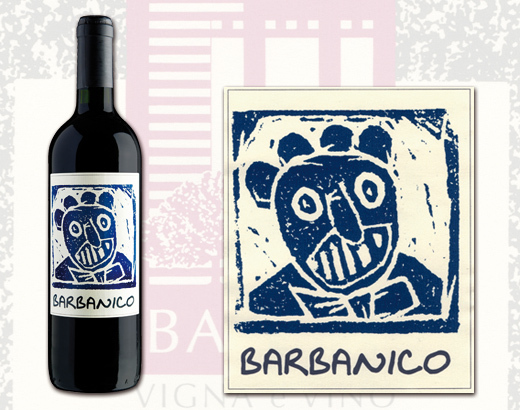 Diamond point of red wine is Barbanico, whose name was created by the union of Nicola and Barbara’s names (Balter brothers) by their father Francesco, first family’ wine lover. Basic cultivar, maximal expression of this land , is Lagrein, which is able to create, together with Cabernet Sauvignon and Merlot, a cuvée characterized by an intense and depth color, and by a fruit of the forest’s perfume; it is wrapping in the mouth, a strong structure is present but with an acid support Barbanico is a wine extremely easy to drink and enjoy. Few years later from its first apparition, wine year 1997 received the Gambero Rosso “Tre Bicchieri” prize (2001), confirming itself at the top of many important guides; as an example in “Almanacco 2009 dei Grandi Vini Italiani” was named as Best Italian Wine.